On Friday June 21, 2013, we headed out to Don Mills Rd. and Sheppard Ave. in Toronto for the groundbreaking of ELAD Canada Inc’s Parkway Forest Community Centre, which will play a pivotal role in their Emerald City master plan. This is a milestone for the development of Emerald City, so a large crowd came out to celebrate. Friends, family, colleagues - basically anyone who is excited about Emerald City taking the next step towards completion was there. 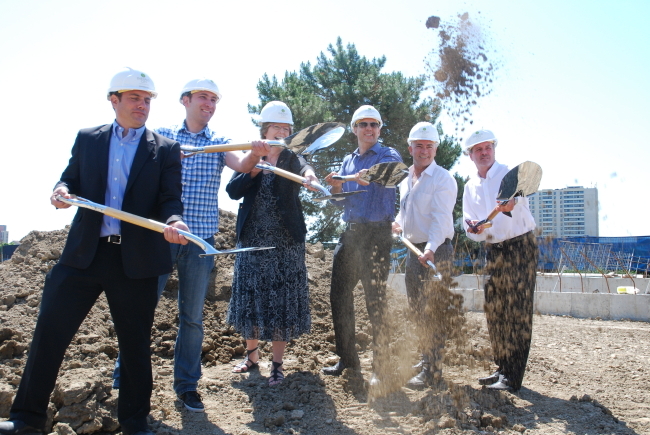 The photo above includes (from left to right): Ron Weinstock- VP Development & Construction at ELAD, Rafael Lazer- CFO ELAD, Shelley Carroll- the Don Valley East Ward 33 Councillor, Netanel Ben-Or- VP Development & Marketing at ELAD, Hanon Amor- Senior Project Manager at ELAD, and City Planner Steve Forester. Designed by award-winning firm Diamond Schmitt Architects, Parkway Forest Community Centre will feature 50,000 square feet of family-oriented amenities, and is a candidate for LEED Silver certification. Some of the amenities of Parkway Forest Community Centre include: a double gym with an upper level running track, an aerobics/dance studio, a weight room, offices, a daycare managed by the YMCA, two multi-purpose sports courts, an outdoor pool, and much, much more. The Community Centre will border a public school on the south and have a series of paths connecting locals to the north side. This is the first community centre to be built in the neighbourhood in the last 20 years, and as a part of Emerald City, it will serve as a recreational hub for the entire community. Emerald City is ELAD Canada Inc’s revitalization project at Don Mills and Sheppard in Toronto’s North York area. The master plan calls for four new rental apartment buildings, nine new market condo towers, 11 townhomes, and the Parkway Forest Community Centre. 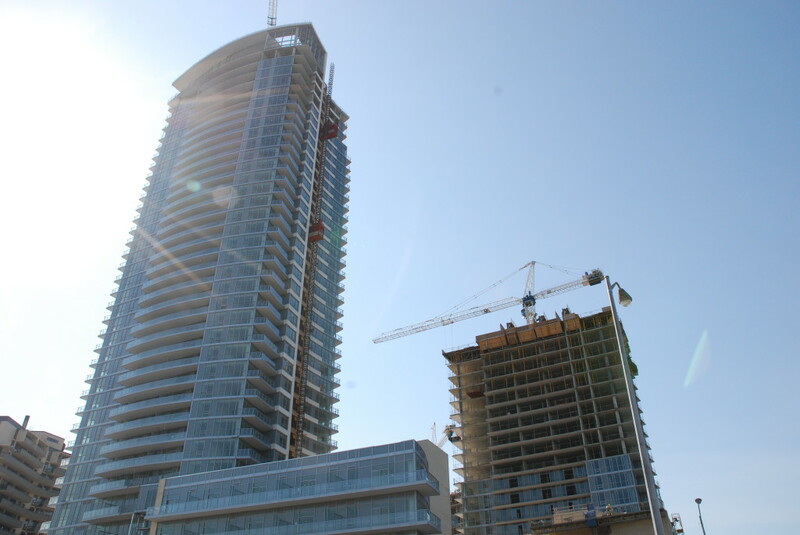 The third condo tower, Dream Tower, is currently underway. 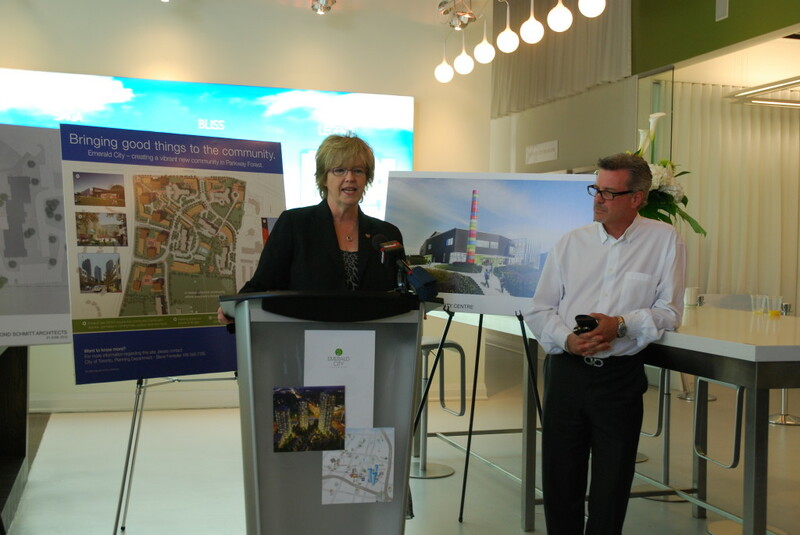 Dream Tower will rise 25 storeys and feature 316 suites, ranging in size from 523 to 1,265 square feet. Some of the impressive interior features and finishes include 9’ and 10’ ceilings, high quality cabinetry, Caesarstone countertops, floor-to-ceiling windows, and stylish light fixtures.